A lesser-known American classic, McTeague explores the darker side of success and the pitfalls of marriage for a turn-of-the-century couple. 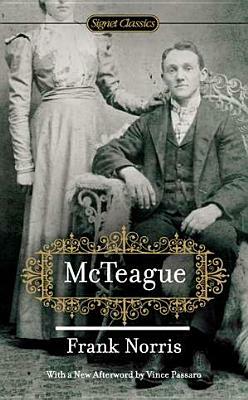 McTeague is the story of a poor dentist scraping by in San Francisco at the end of the 19th century, and his wife Trina, whose $5,000 lottery winning sets in motion a shocking chain of events. Fans of Jack London and Theodore Dreiser will appreciate the richly crafted prose and the historically accurate portrayal of 19th century America. Few works have captured the seamy side of American urban life with such graphic intensity. Alfred Kazin (1915–1998) was one of the most distinguished literary critics of the twentieth century. His numerous books include the highly acclaimed On Native Ground: An Interpretation of Modern American Prose Literature.